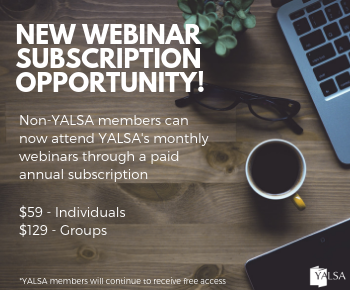 By Jessica Snow August 3, 2015 January 2, 2018 Community and Family Engagement, Equity of Access, YALSA Info. 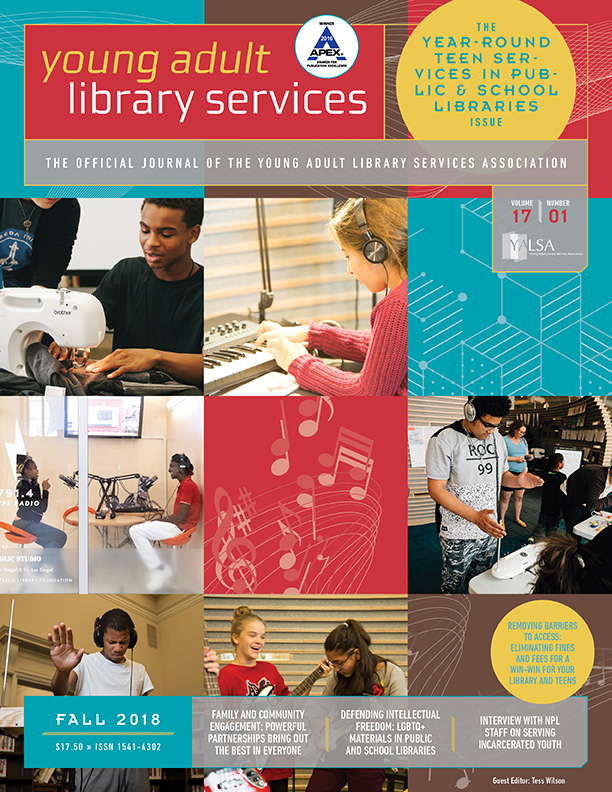 The American Library Association (ALA) defines outreach as providing library services and programs outside the walls of the library to underserved and underrepresented populations, populations like new and non-readers, LBGT teens, teens of color, poor and homeless teens, teens who are incarcerated. As these populations are often marginalized and underserved it is crucial for libraries to recognize these populations and provide services and programs to them where they are. 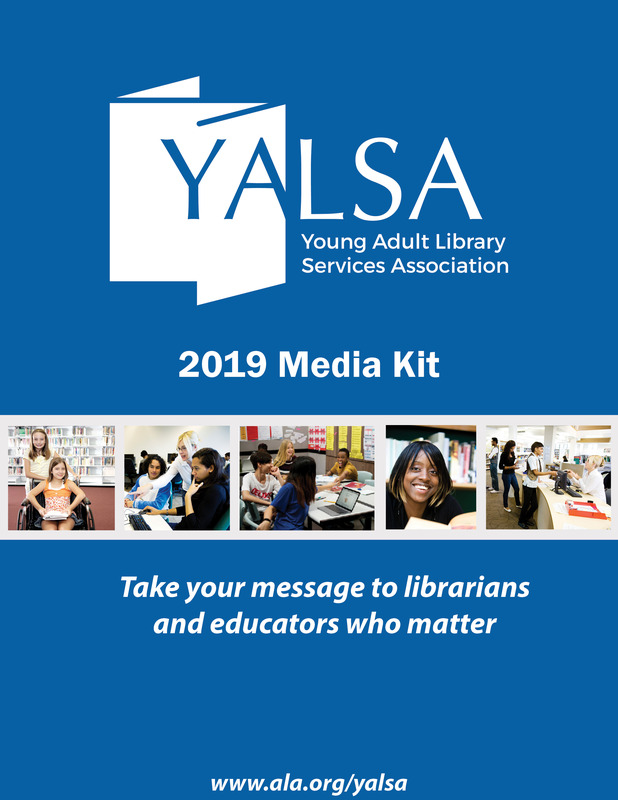 The President of YALSA, Candice Mack, is focusing her year as President with an initiative, “3-2-1 Impact: Inclusive and Impactful Teen Services,” which will focus on building the capacity of libraries to plan, deliver and evaluate programs and services for and with underserved teen populations. 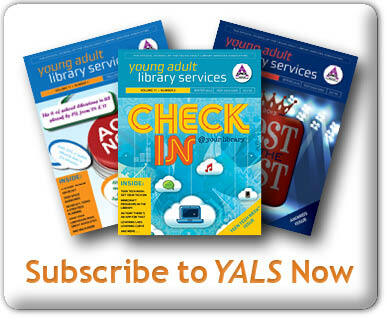 Visit YALSA’s wiki to find and share information about serving diverse teens and building cultural competence. Each month I will profile a teen librarian providing outreach services and programs outside the walls of the library to underserved and underrepresented teens. The purpose is for us to learn, connect, network and share with each other the crucial work we are doing in this area. J: What kind of outreach services do you provide for teens? Rekha Kuver-I manage Teen and Children’s Services for the Central Library location of the Seattle Public Library, located in downtown. One part of what I do is work with two full time Teen Librarians in the Teen Center. I began in this position in 2011 and at the time I observed how the teen space was being used. Although we were seeing teens in the space, it wasn’t being used heavily, especially throughout all open hours. I did some data gathering and analysis to get a snapshot of the Teen Center, including the number of teens using the space, what times of day were busiest, and what activities in the space were most in demand. At the same time, since we are located in the heart of downtown Seattle, I knew that we were close to numerous organizations that work directly with youth, many of whom work with underrepresented youth communities. I wanted teen staff to have more time to find out the answers to questions like: what work are those organizations doing with teens, what needs are they identifying via their relationships to those teens, and how can the Library assist and partner to meet those needs? With the data that we gathered about what was happening (and not happening) inside the building and our growing knowledge of communities in our neighborhood, I gained approval from my manager for the Teen Center reference desk to be staffed only during the hours when teens were using the space most, which for us was between 2:00 and 6:00, 7 days a week. The remaining hours of the work day (morning and evening) would be dedicated to outreach in the downtown neighborhood, collaborating with youth-serving organizations to provide library services to teens wherever they are. 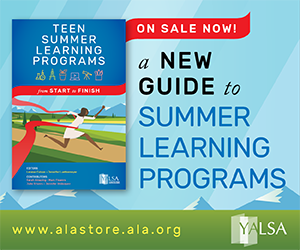 Although it seems counter-intuitive, we did not start out this work with clear goals and outcomes that assumed we knew what teens needed. Rather, I encouraged teen staff to spend several months meeting with organizations, making contacts, building relationships, and gathering data (demographic and otherwise). We didn’t put pressure on ourselves to produce a lot of programs and services for these audiences at first. Rather, we asked a lot of questions, made ourselves as available as possible, and listened. After some months of this, priorities emerged organically from what we were hearing across our community. For most youth-serving agencies that are embedded in traditionally underrepresented teen communities in our area, we found that they talked about three things: supporting teens in their identities; college and career readiness support; and life skills support. Upon learning this, we adopted these as our current departmental priorities as well. Rekha Kuver-We have documented relationships with over 70 organizations so far this year, although this does include organizations that work with children as well, since our overall department includes Children’s services. Each relationship looks different- we collaborate with some on longer term projects, others we collaborate with sporadically as needs arise, and still others we are building relationships with and don’t have an active project going with them. We work with many different types of organizations, including teen and family shelters, transitional housing complexes, food banks, health organizations, educational organizations, digital literacy organizations, arts organizations, and more. Because of this, my day and the other teen librarians’ days are never the same, although we do spend a considerable amount of time meeting/communicating with partners, delivering services off-site and in-house, coordinating amongst ourselves for staffing needs, and debriefing on what has occurred to improve for next time. One example of an organization we work with is New Horizons. They are a homeless shelter that provides services for teens and young adults through a drop in center, case management and job training. Currently, we collaborate on doing a weekly drop in for youth at the Teen Center as well as visits to their facility to bring library services, do library card signups, provide library materials, and provide programming. This is a good example of our philosophy around serving underrepresented audiences: understanding the needs and being responsive to those needs can happen in the library or outside of the library (and oftentimes both). Getting library services to teens is what we provide, but the location of where this happens can be fluid. Often librarians think of programs (in the library) and outreach (outside of the library) as two separate things, but I have come to think of it as completely integrated together. J: What resources would you recommend for someone new to outreach to look for ideas for inspiration as well as best practices? Rekha Kuver-The first thing I would recommend is to look to other librarians who are doing a great job at this work. For instance, my colleague Hayden Bass did a great series for YALSA Blog called Adventures in Outreach that is very informative and motivating. The second thing I would recommend is learning from youth-serving organizations that are not libraries. Although their missions may be different than ours, there is likely some alignment to be found because those organizations, like us, want to understand teen needs in order to meet them. Sometimes they are embedded in underrepresented teen audiences in a way that you may not be. Our work with the leaders of organizations that serve unstably housed youth has provided us a wealth of “insider” information about that audience. Although we know homeless teens and serve them in the library, those organizations have data, statistics, experiences, and best practices that we may not and seeing youth serving organizations as our colleagues and collaborators has helped us a lot. (Building these relationships is, of course, always a two-way street and so they are learning from our expertise as well, which just strengthens the support that our shared teen audiences receive from all sides). J: What are some of your favorite things you have heard from teens while providing outreach services? Rekha Kuver-One of the things we have been working on as we do projects is to make the collaboration with teens and organizations that serve them be true collaborations in every aspect, including evaluation. As we develop a collaborative project, like the youth drop in at the Library, we ask the teens: what do you want to get out of this program? At the end of three months (or 6 months, or one year), what do you want this relationship with the library to have provided for you? Sometimes they say they want a complete resume and cover letter, sometimes they say they want a safe place to hang out with their friends, sometimes they say they want to express themselves with art, sometimes they say they want snacks (ok, they always say that last one). My favorite things I hear from teens happen as we check in with them over the course of the project regarding how we are doing on those outcomes they said they wanted from us. Building those relationships with us, the cumulative listening and responding to what we have heard from them garners thoughtful, sometimes critical, but always insightful and helpful feedback from teens about how we are doing. Building up relationships and trust over time is what gets our patrons the services that they need, because it’s that trust that enables them to tell us honestly what that is. So, everything teens tell us about what they need and how we are doing with that is my favorite thing.